Full, rich, dark chocolate from the foot of the Anamalais Mountains. Spicy, rich taste with hints of cedar and licorice and a fruity aftertaste. Top quality from India. 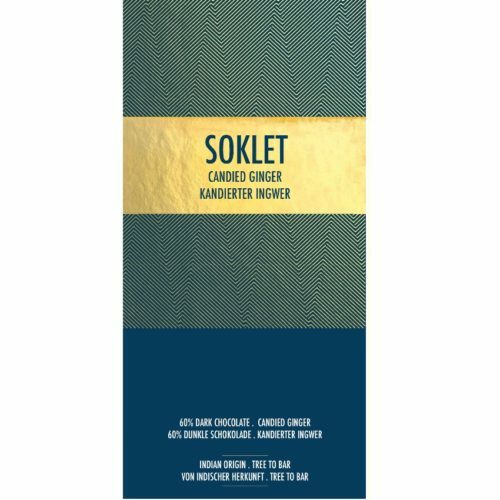 This bar of goodness is produced from cacao grown in our own plantations in the foothills of the Anamalais, where we select and ferment the best of the lot before its transformed into pure chocolate. 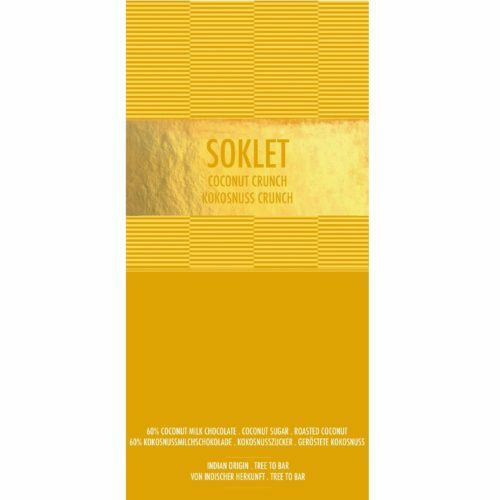 Our time tested old school methods ensure that Soklet bursts with flavor and has a luxurious mouthfeel. 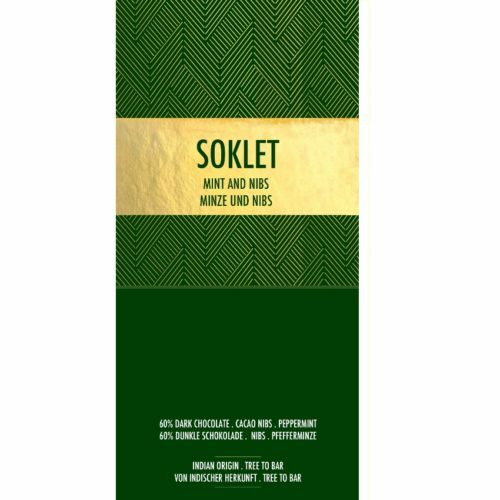 Soklet brings to you the best of all natural fine Indian chocolate, so you can enjoy the true flavor of its terroir. In 2017 they received the Cocoa of Excellence Award, awarded by, among others, Biodiversity International. That is something very special!